Marketing model for red brick hospital redevelopment. 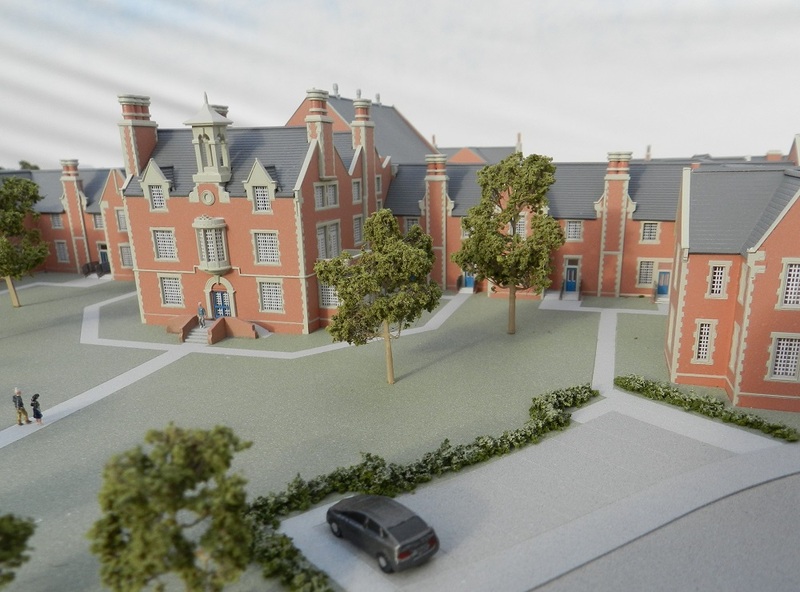 Completed in 1845 this sprawling Victorian red brick hospital building is being converted for residential use and the developer needed a site overview model as a marketing tool for their sales office. This was a difficult project because we had to draw up many of the elevations ourselves from photos and original floor plans and we had to accurately reflect lots of small but important level changes across the site. At 1:200 scale we also had to show all the original Victorian stonework detail such as quoins, finials, clock towers and complex chimney designs. The model and a purpose-built display plinth were delivered to site in Shrewsbury early this week ready for a launch event in the New Year.